Website is a great way to represent your business online. No matter whether it's an online store, service or a website which represents what your organization deals with. It grants you better visibility as long as it is interesting for the target audience. It demands constant efforts on your side regardless whether you have just launched it or it's been around for 5 or more years already. • Is everything working the right way? • Is it easy for you to navigate the website? • Does site content look interesting for you? 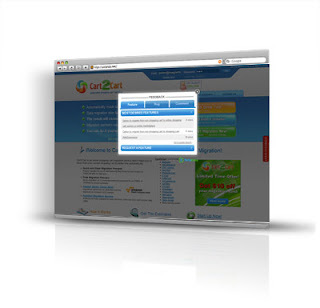 • Is the site overloading you with information (or lacks it)? • What is the overall impression of the website? This maybe quite useful and you can discover many thing that were not that obvious to you previously. But certainly it's not enough. You will be biased, in this or other way. As it's the website of your own you're viewing. Best way out is getting the opinion of people whom your site is for - your users. So called, users acceptance testing. You need to concentrate not that much on the existent customers but on the potential ones. As it's them who did not like something about your website and left to search for the alternative. But what's most important - to receive constant customers feedback about your website. Active use of consumer testing will let you know what users expect from your website and does this correspond to what they actually get. Previously, it used to be pretty messy. You had to collect feedback from different sources: e-mails sent to you, tickets submitted to support suite, etc. Now everything's different. There are web services which allow you to collect all feedback in one place. BetaEasy is one of them. This is customer feedback and beta management service. It will collect all the feedback in one place for you. Users will vote for most urgent bugs and most desirable features which gives you full control over the situation. All you have to do is react to that: fix the bugs and implement the features. Only in this case it will make sense. It's very simple and clear. Give BetaEasy a try and see for yourself.